Q: What makes Pia Sabel different from other hardboiled characters? The common hardboiled character leans on the literary adage to “give ’em a limp or an eye patch” for sympathy. Pia defies that easy sentiment in the tradition of Batman and Ironman, she is a wealthy international soccer star with many resources and no “affected” problems. Her athletic prowess helps her run down bad guys and her wealth gives her the means to do it. But she’s not without a tragic background, pieces of which I reveal in the first three books. When I was nineteen, young, naïve and single, I adopted a three year old girl and raised her. Her strength and determined attitude impressed me more than the literary heroes we read today. I wanted to tell her story in an idealized venue. But how? Heroes are a dime a dozen and recently Hollywood turned to heroines for new material. Most of the newest offerings have little realism. In many cases, a modern heroine is a diminutive woman who fearlessly takes on massive, steroid-pumped men with her bare hands. Physics dictates a woman would not fare well in those situations. I wanted to present a heroine with a realistic background and the physical presence to make it work. Woven into that is the abject fear that battle-hardened veterans of Afghanistan tell me is ever present in real conflict. If I’ve achieved my goal, you will find a strong willed, physically capable athlete, scared to death but determined to win. Your question brings up two interpretations, ebooks/ereaders and independent publishing. I’ll answer them both. The ebook revolution in publishing is a terrific development for readers. Traditional publishers have done a terrific job of bringing us high quality literature but, because of the financial pressures of big business, they’ve stuck to tried and true formulas in tried and true genres. Nothing new & different on their shelves. Amazon’s desktop publishing system has opened the doors to authors like myself who might fit into a genre but lead with a character too far from the ‘formula’ for traditional publishers. Indie authors have brought out great new products that otherwise would never have seen a bookshelf. I’m referring to originals like Hugh Howey’s WOOL or Kelly Thompson’s The Girl Who Would Be King … and The Geneva Decision. Q: What's next for you and Sabel? 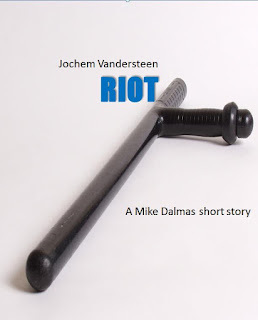 I’m currently working on a serialized novel. My plan is to offer one full novel and one 5 part serial-novel per year. The serial is called “Trench Coats” and has funny bits strewn into a tale of deep political intrigue. I’ve just started this experiment, and will need to see the first installment develop a following before continuing, but I feel good about it and am giving it everything I’ve got. I hope readers like it. The second full novel, The Borneo Decision, is outlined and ready to spill out onto paper after I finish two of the five serials. I do a lot of advertising but don’t want to continue that much longer. I believe advertising puts your title in front of readers, but ultimately, it is the recommendation of other readers that matters. If you write exceptionally well, you will win awards, but if you write a great story, people will read it and recommend it to others. With a little luck and some divine intervention, I’ve written a compelling story. So, right now I am trying to get it into people’s hands in the hopes they like it enough to recommend it. I read a lot of how-to-write books and other non-fiction about the craft and business. I’ve also read a lot of history and biography, but I’ve turned to thrillers in recent years and just love them. Good writers can hide a bit of humor, philosophy, and education in a good thriller. But the last ten books I’ve read are thrillers. And the next ten will be as well. Within that wide genre, I’ve discovered the great indie authors I mentioned earlier, who have pushed the genre into a dynamic shape, encompassing crime, comics, thrillers, science, and many other sub-genres. Indies are making it fun. I like sidekicks but find they often come from a predictable mold. Pia Sabel’s sidekick is a beautiful party girl, completely irreverent and unreliable--until the shooting starts. Then she takes out all her pain and anguish on the poor sod who unwisely tried to kill her or her boss. I’ve noticed more authors are creating characters who are loners, in the vein pioneered by Lee Child. While I love Jack Reacher, who always works alone, I think everyone needs someone to pull them out of a mess now and then. And since mine is a heroine, and we know women can’t even go to the bathroom alone, I decided she had to have a sidekick. Chandler, Hammett, et al did such a great job the genre is near the point at which westerns exited the public stage. Once you’ve reached a level of perfection, where do you go? I perceive a public reaction leaning that way. How do you follow Chinatown? That means the influencers today are keeping those Hammett/Chandler traditions but adding new situations and using new devices. The most influential writer today is Lee Child. He moved us beyond the PI and into the guy who simply finds evil and kills it. The story is laid bare that way, no artificial constructs to help us get to the plot. The hero walks into a bar, observes a nukes-for-beer exchange in progress, kills the traders and all the cowardly patrons who stood idly by, and leaves. Problem solved. Clean and simple story telling. And it reads like a hardboiled crime story. That’s now, what’s next? 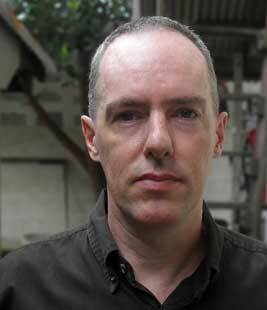 As for who will influence after Lee Child, I hope it will be Kelly Thompson. She’s a comic book fan who wrote a novel about a crime fighting heroine. While the roots are decidedly comic book, her interpretation is much deeper. She pulled some interesting background and added a funny and tragic villain. With so many Hollywood franchises evolving from comic books these days, I think she’s on to something. Check it out, The Girl Who Would Be King. But I’ll warn you: no matter what you expect, you won’t expect this story. Every page is a new experience. I love the look of faces entranced by a story—especially when it’s a story I’m telling. I believe all great authors live with that same desire to keep people spellbound, from Dickens to Stevenson to Steinbeck to Child. Different generations respond to different stimuli. Our modern world is relatively safe from disease and war and wolves and artful dodgers, and is somewhat dull in terms of the daily adrenaline rush our ancestors endured. That means the modern reader would not believe Oliver Twist (they want to believe the foster care system is preventing such tragedies). Today’s readers want to fall out of an airplane, swim out of the raging river, disarm extortionists carrying sawed-off shotguns, race through Amsterdam and Albuquerque chasing mad bombers, and save babies tossed to crocodiles in the Nile. And so I write in the genre that modern readers find thrilling. I want to imagine their faces staring wide-eyed while they rip through the pages. So I write thrillers. Jackson Burke isn't your run of the mill kind of private eye. In fact, he's not a PI, not a cop, not an ex-soldier. Instead, he's a man that lost his family and brutally avenged it, earning his hardboiled attitude by living through the pain. This unique character alone makes this novel worth your time. Besides Burke there's a lot of great secondary characters hanging around as well, some nice, some not-so nice and some really mean bastards. Burke offers his help to his former lover, a journalist being threatened by a killer who might be the Black Doodler, responsible for the death of 14 men in the seventies. 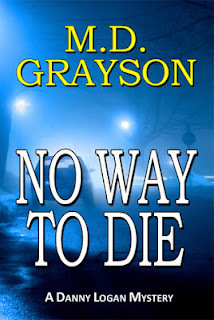 Burke's agressive personality lands him in a lot of trouble with the cops when he starts to investigate, making it a very personal and dangerous adventure for him. He has to face a great deal of pain, physical and emotional to unmask the Black Doodler. The prose is rich and haunting, never getting in the way of the fast pacing of the story. It reads like a Lee Child novel that was ghost-written by James Lee Burke. An interesting tidbit is the fact there really was a Black Doodler and Sean Dexter did a great job researching the case. If you like dark thrillers, you need this book. The Garbage Collector is back! I just love these short stories Dani Amore publishes featuring the shady security consultant that specializes in getting back the things and people most regular private eyes are reluctant to. In this one he discovers a dead body that has a connection to a past job. He sets out for vengeance, taking on a few nasty Albanian criminals, showing us he can be even nastier. Easy to read, fast-paced and full of action. Everything a nice, quick Kindle read should be. Some writers stop after a few PI novels, writing thrillers and standalones. Others stick by their main man and stick with the genre. 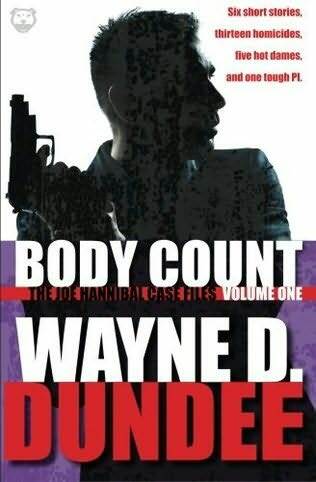 Wayne Dundee is one of those authors and for that alone you need to buy this book. In this cool collection Wayne offers us Joe Hannibal stories spanning 30 (!) years. Showing not only how his PI Joe Hannibal has changed over the years it also shows how the genre itself has evolved. The first two stories in this collection are very much Mike Hammer like stories, but the later ones show how Hannibal becomes a character of his own, as does Wayne's writing style. Take a look why the short story form is a fantastic vehicle for hardboiled detective stories and take a look why Wayne has been thrilling reader for decades. 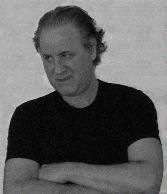 Q: What makes Jim Dallas different from other hardboiled characters? Dallas is hardboiled but vulnerable. He’s dealing with PTSD and with his own demons as he takes on cases—actually, to an extent, Dallas is gradually solving the mystery of Dallas as he works on the various problems that he investigates. I have an arc for thirteen books, and after that…who knows? Never say never. My late friend and cowriter Thomas E. Fuller (he and I collaborated on YA novels, a mystery novel, and the Lovecraftian novel The Dancer in the Dark) complained once that he was in the mood to read a John D. MacDonald Travis McGee novel. I said that would be difficult, since he had died some years before. The next week Tom emailed me with the idea for a Jim Dallas novel—Dallas because Travis was originally intended to be Dallas McGee. We outlined Dallas’s biography and came up with backstory (some of which has appeared, some of which will eventually come out). We wanted a straight-arrow sort of guy who becomes hardened and rather cynical when his efforts result in pain and tragedy for him. His neighbor, friend, and investigative assistant Sam Lyons is physically based on Tom, by the way, who always dreamed of having a home on the Florida coast and not having to wear coats and ties! I have relatives who are in police work and we did some research into that end of things. By the time we’d finished, we had a pretty good sense of Dallas, his drives, his fears, and his behaviors. We kicked the idea around and outlined a plot, but then got a contract to do six YA books in a little over a year and so Dallas went on the back burner. Sadly, the next year Tom passed away from a sudden heart attack. 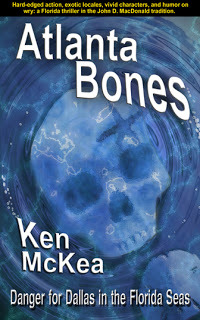 In 2011 I dug out and completed The Dancer in the Dark and came upon the outline material for Atlanta Bones, wrote the book from that, and attached the pen name Ken McKea to it. Tom and I were known as YA writers—we did over a dozen “Wishbone” books about public TV’s literature-hungry Jack Russell Terrier—and out thought was that we would “brand” the Florida thrillers with a distinctive pseudonym. Once I had finished the first novel, I quickly went on to the second and third. Fourth one is brewing now. It frees the writer from having to look constantly over his shoulder at the editor. Editors are not the natural enemies of writers, but they do tend to be a bit conservative in my experience—“You can’t write that because nothing like that has been written.” I’m hoping that eBooks will continue to give writers the opportunity to make a name for themselves. It’s like what Sid Caesar used to say about the vanishing Catskills comedy places: “There’s no place to fail any more.” Certainly most writers would like to have a home in hardcovers, but it’s hard to get through that particular door in these economic times. For me, a writer has to have an audience of some kind before anything else, and e-publishing is certainly one way of doing that. Q: What's next for you and Dallas? Twitter and Facebook and word of mouth! 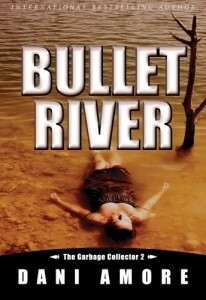 Amazon.com also has been publicizing the first three novels—I can tell when they do an emailing about mysteries because there’ll be a little bump in Kindle sales. I also am looking for bloggers who’d like to review the danged things! Pirate novels (my favorite novel as a kid, and I still like re-reading it, is Treasure Island). Science-fiction, fantasy, and horror. And, oddly, Victorian novels. I’ve read all of Dickens, all of Jane Austen, all of the Brontës, all of Trollope, and about half of Thackeray. Many of the conventions of Victorian fiction don’t appeal to me (the constant authorial intrusion and editorializing, the whopping coincidences), but I do like the in-depth character development that the best of those writers were able to produce. They’ve got their place, certainly. They add an element of unpredictability and instability that can gun up a plot. However, I’ve had my share of contact with actual psychotics, and I’m a little leery about introducing a recurring psychotic character in my own stuff! Lee Child, I think—he’s all over the place. And I think some of the women writers already are producing literary imitators—Tess Gerritsen, Kathy Reichs, Sue Grafton. Interestingly (to me) when I read Grafton’s first mystery I got a little bit misty because she uses “Santa Teresa” as a setting—taken from Ross Macdonald’s Lew Archer series. When I was in college, I corresponded with Macdonald, who encouraged my writing. It was good to see he’d encouraged someone else who carried on the torch. 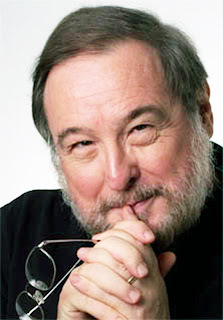 Well, when I talk about creative writing to beginners, I almost always advise “Write the book that you’d like to read.” I like to read Florida thrillers—MacDonald, of course, and Carl Hiaasen, Randy Wayne White, Tom Corcoran, James W. Hall, many others—and I like to write them. I love visiting Florida, where my daughter lived for a good many years, and, hey, if you can spend two weeks on the beach and do some walkabouts for local color, you can write part of the trip off on your tax return as research. I believe that. Primarily, the Jim Dallas series is about Jim—but it’s also about crime and culture, about the intersection of idealism and temptation, about the hold of the past on the hope of the future. You can deal with what Macdonald called “radioactive material” in a detective novel, and in doing so you can try to make some small kind of sense out of the fragmented and sometimes terrifying world we live in. And if you’re Sam Lyons, you can wear a Hawaiian shirt while doing so. If you're sad Dennis Lehane isn't writing the Patrick Kenzie series anymore it might be a good idea to pick up this one. There's a difference in style and tone (this book is nowhere near as dark) but we ARE treated to a male-female duo of private eyes that are young and start out as friends but seem to become more, just like we were shown in the Kenzie-Genarro books. In this story PI Danny Logan is hired to prove the suicide of a software developer is actually murder. It turns out some critical decription software is at the heart of the case, forcing Danny to take on a British band of criminals / entrepeneurs. Aside from the relationship between Danny and his partner Toni I enjoyed the professionalism of Logan's PI firm, which was quite far removed from the usual lone operative we see in PI novels most of the time and the breezy writing style. The whole thing seemed pretty well-researched as well. All in all an easy to read and enjoyable story with characters you will get to love. This one is clearly influenced by John D MacDonald's Travis McGee novels. His character's last name is inspired by the name that MacDonald originally had intended to be McGee's first name and I believe he even shares the same clothing sizes. There's also a Meyer-like sidekick for the hero to talk about the state of the world with and a lot of action on boats. What Jim Dallas has and a lot of other Florida adventurers don't have is writer Brad Strickland, here writing as Ken McKea. He really nails the language MacDonald used in his McGee novels which should make sure this novel appeals to all Travis McGee fans. With a tragic past in Atlanta (wife killed, he himself burned in a fire) he tries to make a living in Florida. An old friend asks him to prove her missing husband died so she can get to his money. He takes the case and gets his life in mortal danger. I liked Dallas and the rest of the characters. All scenes were well-written, the mystery surprising enough and the forensic stuff well-researched. I do think the novel would have benefitted from a lower page count or perhaps just a bit more speed in the narrative. 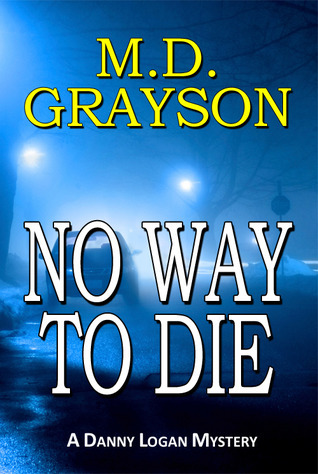 MD Grayson writes about a PI that has a few things in common with my own Noah Milano. He's younger than most AND has been influenced by Patrick Kenzie who was the biggest influence on Noah as well (see the intro to Tough As Leather). Q: What makes Danny Logan different from other hardboiled characters? Danny’s not so “hardboiled” as most of the others. I think he’s not “wound so tightly” as some of his contemporary fictional PI’s. Don’t misunderstand, he’s a serious guy and when he’s “on”, he’s all business and I guess this serious side of him makes him “hard boiled”. But he also knows how to have a good time. He camps, he plays guitar, he listens to music. After all, Danny’s just turned thirty years old and he’s smart enough to recognize that you only go around once. He doesn’t let his work consume him. I suspect this might have something to do with his laid-back Seattle upbringing. He’s careful to take care of himself and he doesn’t have any physical ailments. He’s been a competitive long distance runner since before high school. Unlike many of his fictional contemporaries, he doesn’t smoke or do drugs or even drink to excess. He’s a good-looking guy, but he’s no ladies’ man. In fact, he’s a little shy and he’s not very comfortable around women. (Toni’s helping him here). His time in the military was a very influential part of his life, but he seldom mentions it – it makes him uncomfortable on several levels. To be sure, he had some very difficult war-time experiences. He doesn’t forget them, but he doesn’t dwell on them either. Emotionally, still a young man and he’s still growing. He’s opinionated and a bit judgmental and he sometimes jumps to conclusions, despite knowing that doing so often leads to mistakes. As a result, he sometimes has to backtrack. Like many PI’s, Danny has a strong sense of right and wrong and he can get downright belligerent when pushed too far. He learns every day and, being only thirty, he’s got a lot of learning to do. I’d say my three main influences for Danny Logan were Dennis Lehane’s character, Patrick Kenzie (although clearly Kenzie lives in a much “grittier” world than Danny Logan) combined with a little of John D. MacDonald’s Travis McGee (McGee is even more introspective than Danny) combined with a pinch of Bruce Willis’ character David Addison from the old Moonlighting series (alas, neither Logan nor I are nearly as witty as Addison). My thought was to combine these basic personas and wrap it up in a “northwest” package. Then, I wanted to pair Danny with an ensemble cast, particularly with a woman who in many ways was his opposite – thus, Antoinette “Toni” Blair. Whereas Logan is a bit introverted, Toni is an extrovert (as evidenced by her tattoos). Logan is comfortable every day in his Jeep with his jeans and a Hawaiian shirt. Toni – despite her leanings towards Seattle grunge, occasionally likes to “make an entrance”. And, she’s good at it. They share a passion for PI work, though and they’re both committed to making Logan PI a success. Books for ninety-nine cents! From the reader’s perspective, what’s not too like? From an author’s perspective, the idea that a guy like me can share my creative work with a world-wide audience (for better or worse!) is mind-boggling. For those with talent who are willing to learn the craft and put in the work, this has got to be the best time to be an author. That said, I’m not sure anyone really knows the full impact eBooks will eventually have on the publishing industry. I guess we’ll find out when we get there! Q: What's next for you and Logan? I wrote the first three Logan novels in 2012. Plus, about half of the fourth book before I started getting the nagging feeling that maybe if I slowed the pace down just a little perhaps I could raise the quality of my work (maybe not – we’ll see what the readers have to say). Anyway, the fourth Logan book will take twice as long as each of the first three – I’m hoping to have it out in the spring time. It’s a Danny Logan/northwest take on a who-dun-it. I suppose that at some point, I’ll back off the pace on Logan novels a bit so I can take up some other writing ideas I have as well. But, as long as people continue to enjoy reading about Danny and Toni and the crew, I’ll keep writing about them. Most all. I like Thrillers and Spy novels. I’m a sucker for Romance. I like Sci-Fi and Fantasy. I even like Western’s. I guess about the only thing I don’t read are Para-normal and Horror novels (although I occasionally read those as well). Q: What's your idea about the psychotic sidekick in PI novels like Hawk and Joe Pike? Sidekicks/supporting cast are very important for a number of reasons. Having a dark character – even psychotic – can help unload the main character of some of the “dirty” work. 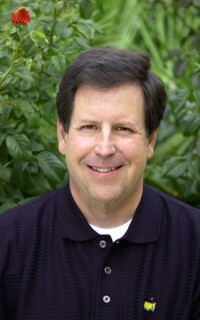 Patrick Kenzie has Bubba Rogowski. Bubba does things without even thinking that Patrick would never do. Danny Logan has Doc Kiahtel. Doc is nowhere near as “conscience-free” as Bubba or Spenser’s Hawk, and he’s certainly no psycho, but I’ve set him up as a sort of uber “tough guy” that Danny can call on when needed. I don’t know but I’ve heard that this M.D. Grayson guy is pretty hot. Seriously – today, in addition to Lehane, I suppose you’d have to add Connelly, Evanovich, Cornwell, Coban, Grafton, Grisham, maybe Tony Hillerman. Also, Randy Wayne White and Stuart Woods. I know all of these people have influenced me. For me, it’s natural. I started reading about John D. MacDonald in the summer between middle school grades when I lived in Las Vegas. It was way hot outside so when I wasn’t in the swimming pool, I liked to spend time inside in the cool air conditioned room and get totally immersed in Travis McGee, the Busted Flush and the hot marinas and even hotter women of McGee’s south Florida. Just writing this brings the memories back! I was hooked and I devoured every McGee novel I could get my hands on. I kept reading these, along with many others, through high school and beyond. I was crushed when John D. passed away in 1986 – I was nowhere near ready to stop reading about McGee yet! I thought about trying to see if the estate would let me continue with the characters but I never pursued this (which was a good thing at the time, believe me!) Later, my reading broadened into a variety of areas but I always came back to my first love – a good mystery! Since I was old enough to appreciate what they were saying and doing, I’ve loved PI’s! Read about the action hero that makes Jack Reacher look like Tom Cruise... For free! When the Bay City police is blackmailed with a tape showing police brutality Mike Dalmas has to destroy the tape before a riot destroys the city. But shouldn't the cops involved get punished? ''The writing is fresh and vivid and lively, paying homage to the past while standing squarely in the present." -James W. Hall, author of Silencer. It's like Todd Robinson (creator of Thug Lit) asked me what my favorite PI novel would look like before he wrote this novel. Yeah, I liked it that much. Boo is a great character, a bit of a mix between Spenser, Burke and the bouncer at your favorite bar. I loved his wisecracks, his tough attittude and his soft heart. I loved the fact he really wasn't used to seeing women naked without tattoos. I loved that he made Spenser and Needle Magazine references. I loved the fact the plot was very, very dark but still the Boo's lines had me laugh out loud sometimes. What I loved most, however, was the fact this is a great new take on the genre. Boo and Junior are tough guys with tattoos, not old ex-cops who listen to jazz. They are still the kind of knight-errants that make the genre great though. Fantastic novel, a definite contender for 2013's Favorite Sons in the category Best Debut or Best New PI. I just hope Boo will return. I guess this one could be billed "The Big Sleep meets Bloodsport" if they wanted to sell the movie rights. It wouldn't do justice to this very enjoyable crime / action thriller featuring my favorite PI of 2012, Randall Lee. 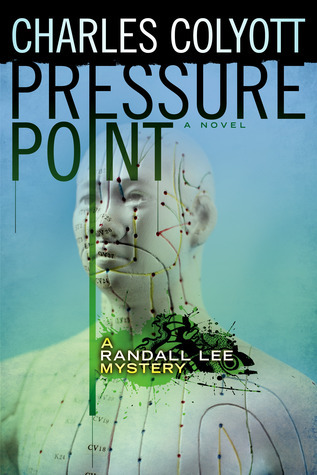 The acupuncturist and Tai Chi master gets involved with a dangerous new drug, trying to help out his cop friend Knox. 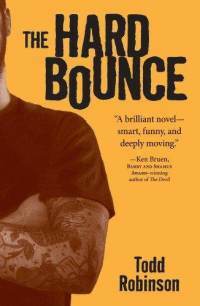 When he discovers ties to a secret Mixed Martial Arts tournament he ends up confronting his own dark past and the old friends that he shared it with. I really like the sarcastic and funny voice of Randall that Charles uses to tell the story. You really are taken along the ride with him, feeling his pain and sharing his love for hot punkrock girl Tracy. The action scenes are even better than in the first novel (Changes)and I loved the references to old martial arts movie stars like the great Cynthia Rothrock. I did think this one was even more violent and darker, which might make it too dark for some readers. Randall is really taken through a wringer in this one, but thanks to his funny voice it never became unbearable for me. A great second entry in a great new series.